2 April 2017: Under the active Stewardship of Trans4m Global Wisdom Council Member Zahira Kamal, Alexander Schieffer conducted a one day workshop with 30 Palestinian youth leaders, co-exploring the potential of Trans4m’s Integral Worlds approach to contribute to the liberation process of Palestine. 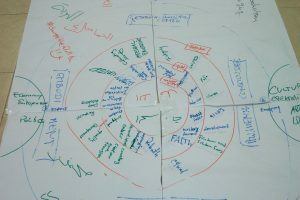 After an introduction into Integral Worlds as well as an overview of its regional (Arab World) and global applications, the co-creative and highly interactive workshop focused on the development of an integral “self-in-society” map. 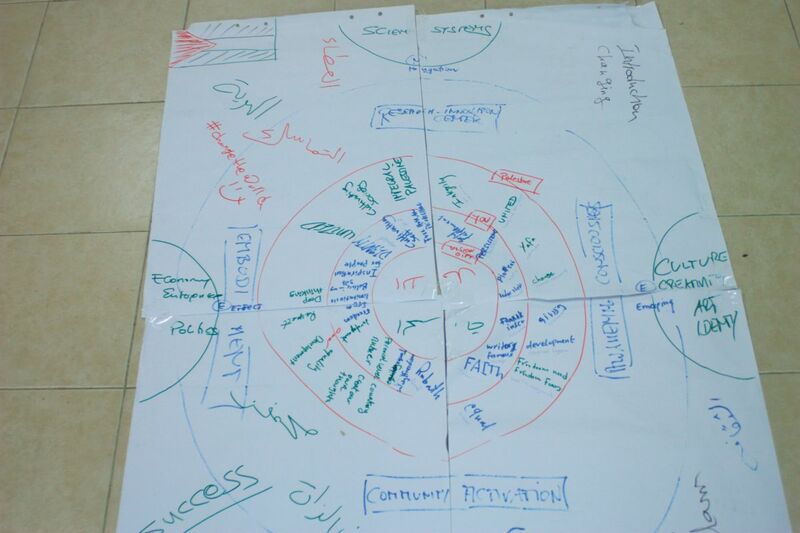 The map provided new perspectives to the Palestinian youth leaders to link and unite their personal life passions with their call for a liberated, free Palestine. 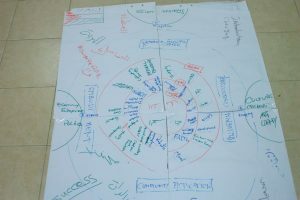 Applying the Integral Worlds approach, different “liberation perspectives” were discussed – from social, cultural and scientific (knowledge creation) to economic and political liberation. Over the course of the day, an integral “transformation territory” was mapped out. The workshop concluded with an intense discussion on how the transformation territory could be purposefully activated, via Trans4m’s “releasing GENE-ius” and CARE processes. The workshop fell into a time, in which many Palestinians are pessimistic with regards to the realization of a “Free Palestine”. 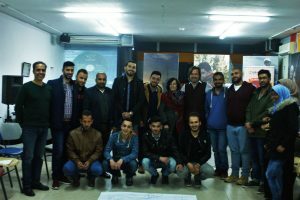 However, together with Zahira Kamal, Sharek and other Palestinian organisations, Trans4m is committed to continue supporting transformative society-building processes in this troubled part of the world, and to identify means how such programs can be sustained over many years to result in a tangible contribution. 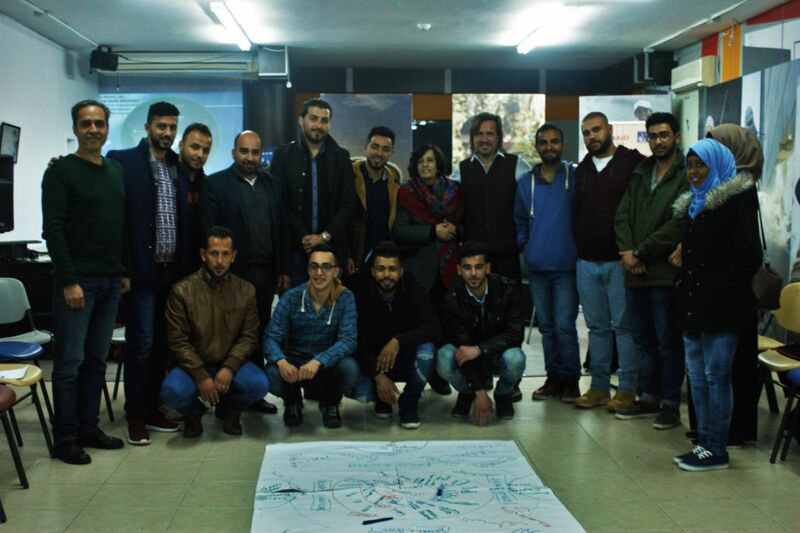 The workshop took place in the premises of SHAREK, a Palestinian Youth Forum focusing on the development of young people into engaged and active citizens. 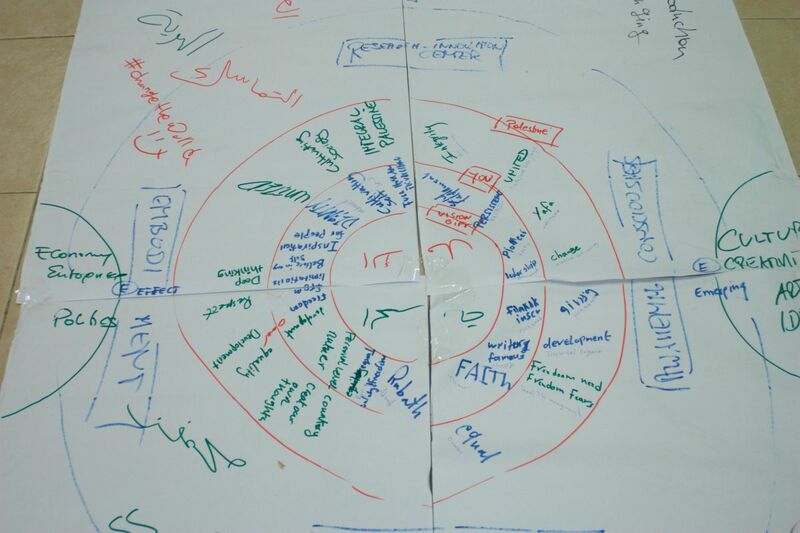 As an independent Palestinian organization, Sharek Youth Forum seeks to contribute to the development of youth through designing, supporting, and implementing youth initiatives, programmes and projects in Palestine. The organization strives to get the voice of youth heard, and acts as a platform for advocacy on social, economic, cultural and political youth issues. Since its establishment in 1996, Sharek (Arabic for “sharing”) grown into a nationally and internationally recognized platform for youth-to-youth, youth-to-community, and youth-to-children interaction.